While this is a very descriptive image of neurons and the axons and dendrites that carry energy and information to other places in the system, the vast space we are now calling consciousness is probably black. More like looking at the sky. 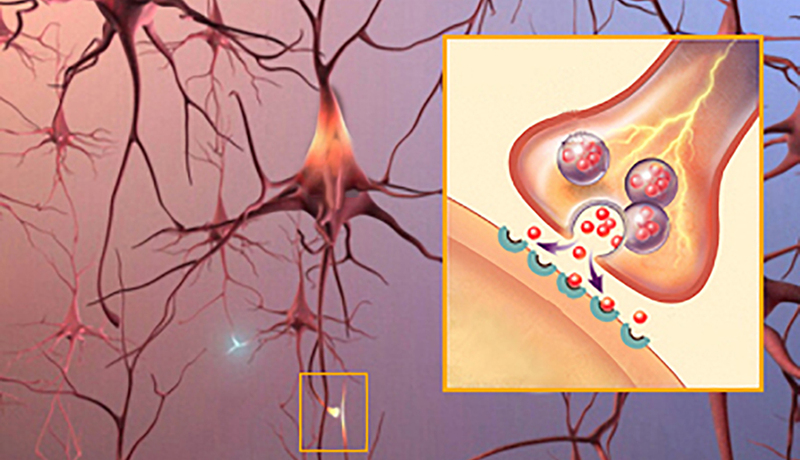 In the inset, neurotransmitter vesicles, with red balls – neurotransmitters – inside them, flow to the tip of a transmitting axon, where they explode into free red balls that flee to receptors across the void, on the wall of the dendrite. Creation goes on and on.